For the first time, the European Commission launches a new initiative to recognise and celebrate outstanding projects, funded by FP7 and Horizon 2020 funding programmes, that have used their results to provide value for society. Research and Innovation (R&I) results created under the Framework Programme are instrumental in contributing towards transformative impacts on the economy, society and policymaking. 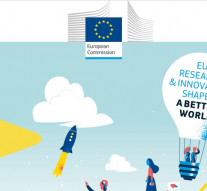 The Commission will award on an annual basis a recognition prize to reward beneficiaries that have successfully used their research results to create value for society. The beneficiaries must be able to show proof of effective exploitation of their results. Impacts are seen as an effect on, change or benefit to the economy, society, culture, public policy or services, health, the environment or quality of life. The award aims to show the wider socio-economic benefits of EU investment in research and innovation.It enables individuals or teams to showcase their best practices and achievements and encourage other beneficiaries to use and manage their results in the best way possible. The contest is open to all legal entities, individuals or teams, that have completed a FP7or Horizon 2020project. Five winners will be selected and will receive EUR 10.000. The prizes will be awarded during the Award Ceremony with promoters of innovation from industry and public sector.